Although the literature and cultural practices of the South Asian region demonstrate a rich understanding of criminology, this handbook is the first to focus on crime, criminal justice, and victimization in Afghanistan, Bangladesh, Bhutan, India, Maldives, Nepal, Pakistan, and Sri Lanka. South Asia’s rapid growth in population and economy continues to introduce transformations in social behaviors, including those related to criminality and victimization. Readers of this handbook will gain a comprehensive look at criminology, criminal justice, and victimology in the South Asian region, including processes, historical perspectives, politics, policies, and victimization. This collection of chapters penned by scholars from all eight of the South Asian nations, as well as the US, UK, Australia, and Belgium, will advance the study and practice of criminology in the South Asian region and carry implications for other regions. 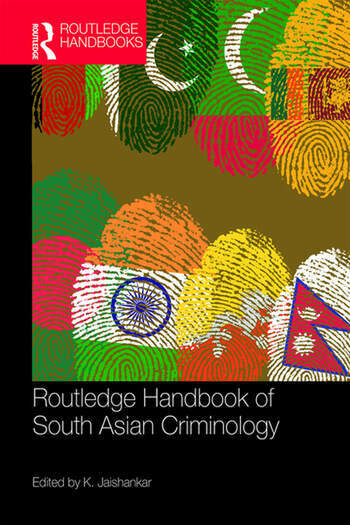 The Routledge Handbook of South Asian Criminology provides a wealth of information on criminological issues and their effect on the countries and governments’ efforts to mitigate them. 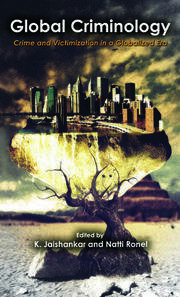 It is essential reading for students and scholars of South Asian criminology, criminal justice, and politics. 19. Madaris and Suicide Terrorism in Pakistan: Is there an Association? K. Jaishankar is presently the Professor of Criminology and Head of the Department of Criminology at the Raksha Shakti University (Police and Internal Security University), Ahmedabad, Gujarat, India. Prior to this present position, he served as a faculty member at the Department of Criminology and Criminal Justice, Manonmaniam Sundaranar University, Tirunelveli, Tamil Nadu, India. He is the recipient of the prestigious National Academy of Sciences, India (NASI) SCOPUS Young Scientist Award 2012–Social Sciences and ISC – S. S. Srivastava Award for Excellence in Teaching and Research in Criminology. He was a Commonwealth Fellow (2009–2010) at the Centre for Criminal Justice Studies, School of Law, University of Leeds, UK. He is the founding Editor-in-Chief of the International Journal of Cyber Criminology (www.cybercrimejournal.com) and Editor-in-Chief of International Journal of Criminal Justice Sciences (www.ijcjs.com). He is the founding President of the South Asian Society of Criminology and Victimology (SASCV) (www.sascv.org) and founding Executive Director (Honorary) of the Centre for Cyber Victim Counselling (CCVC) (www.cybervictims.org). He was a discussant in the "Opening discussion: Focusing on victims of crime—comparing crime patterns and improving practice. 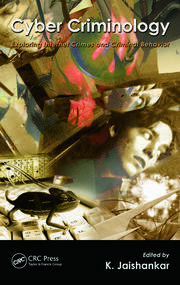 Researchers’ advice to policy" of the Stockholm Criminology Symposium held during June 11–13, 2012, in Stockholm, Sweden, and responded to the questions of Beatrice Ask, the Swedish minister for justice, and Paula Teixeria da Cruz, the Portuguese minister for justice. He was a Keynote Speaker at the 15th World Society of Victimology Symposium held in July 2015, at Perth, Australia, and at the 14th World Society of Victimology Symposium held in May 2012 at The Hague, The Netherlands. He was appointed as an International Ambassador of the British Society of Criminology (BSC). He is founding father of the academic discipline, Cyber Criminology (2007), and is the proponent of the Space Transition Theory of Cyber Crimes (2008). His areas of Academic Competence are cyber criminology, victimology, crime mapping, GIS, communal violence, policing and crime prevention.